Happy early Pi Day! I thought about waiting until tomorrow, Pi Day , to talk about pie, but honestly, which is better? Making a pie on Pi Day, or making the pie the day before so you can eat it on Pi Day? I’d rather you also have the option of making a pie in advance. I’m no mathematician, but I appreciate the gesture of designating March 14 (3/14) as Pi (3.14) Day. Pi is the ratio of a the circumference of a circle to its diameter, always equally 3.14… and lots more digits. Pie is a circle. This is serendipitous. As as someone who loves cooking, and tolerates enjoys plays on words, I have to appreciate that pie and pi are related somehow. 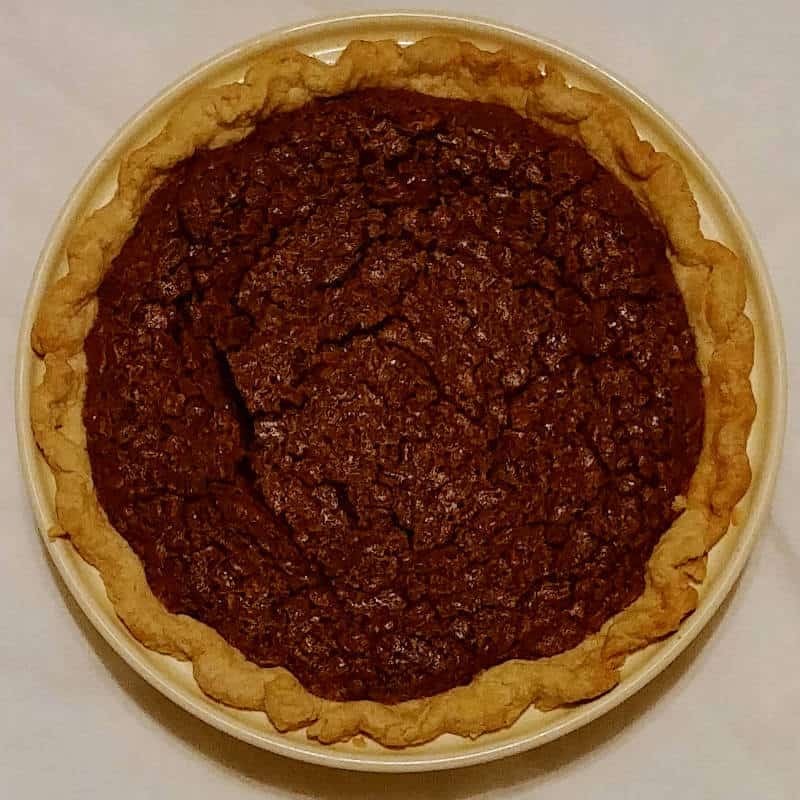 I originally published this post last year, but thought I would update it with my latest favorite pie, and give you a refresher of some old favorites. This Black Bottom Oatmeal Pie is still my favorite pie. It was my first baking project, when Amelia was just a month old. It was totally worth it. It has so much goodness – a chewy oatmeal cookie-like layer over a layer of chocolate. I adore chocolate and oats together, and I don’t combine the two nearly so often as I should. Believe it or not, I’m not a pie person, but I’ve made this a few times since and happily eat more than my fair share. It’s good even using a frozen pie crust. If you don’t want to toast your oats, it still turns out. Want a thicker layer of chocolate, and pecans? 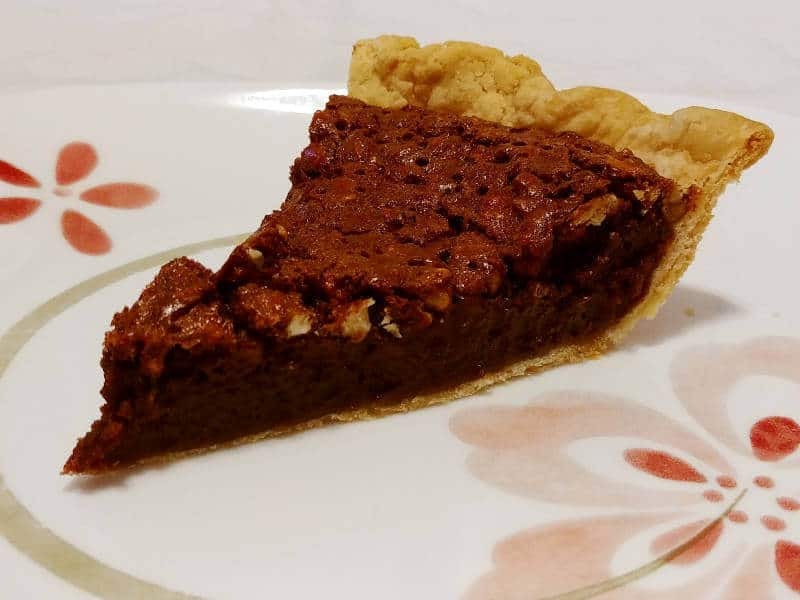 This Pecan Fudge Pie is for you! That’s what my most recent pie was, and it’s as delicious as you might imagine. It’s super easy to put together, just like pecan pie – just mix together all the ingredients, pour into a pie crust, and bake. You get a rich, fudgy pie topped with nuts. 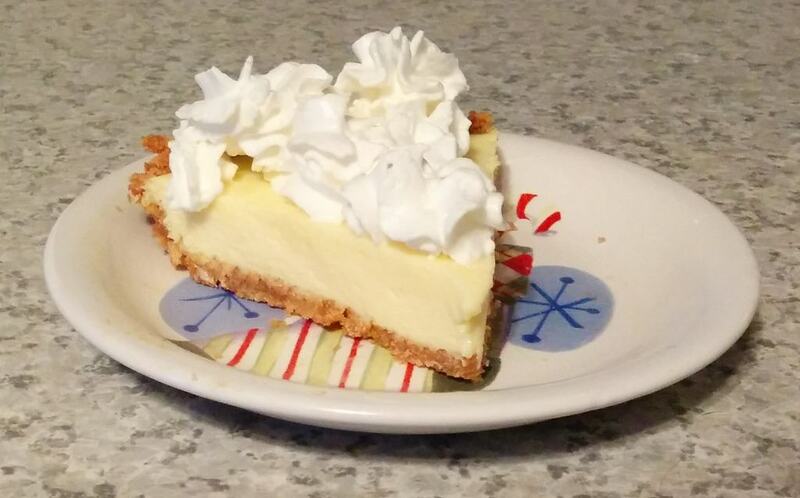 One of my other favorite pies is this Key Lime Pie. It’s also incredibly easy. If you use a store-bought crust and use bottled juice (which I have almost always done), you can make the pie in less than 30 minutes. (Unfortunately, you still have to wait for the pie to chill.) I always eat more of this one than I expect to – I love the tartness of the lime and the creaminess from the sweetened condensed milk. My other favorite is Coconut Cream Pie. It’s a stirred vanilla custard you make on the stove, with lots of coconut added to it. Sometimes I really crave it (I adore vanilla), and I have no trouble eating almost the whole pie over a few days, even without Alex’s help. Sometimes I consider finding a different recipe for it, but I’m still really satisfied with this one. 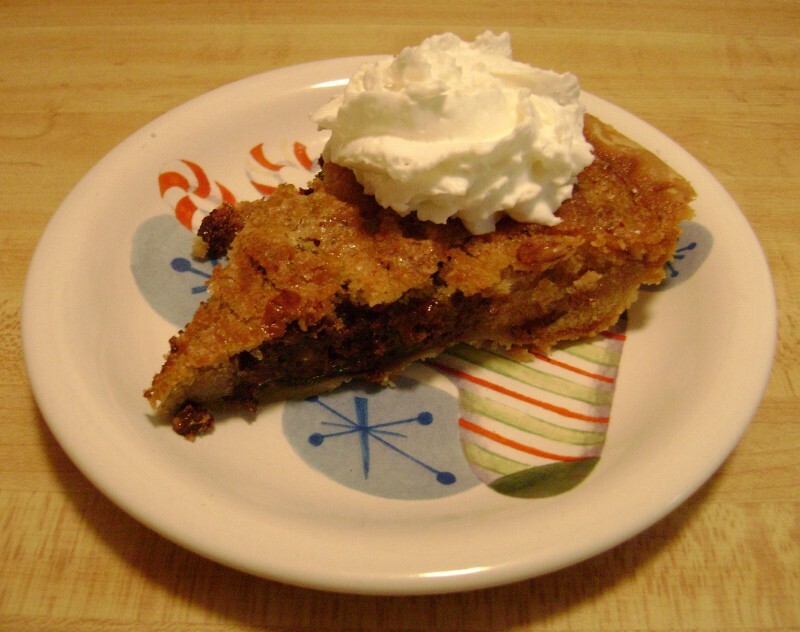 Chocolate Chip Pie is a sentimental favorite. A coworker of mine from several years ago would bring it to work frequently. But it’s also very delicious. It’s basically chocolate chip cookie dough served in a pie shell. And it’s best served warm, so it’s great to whip together on the same day you want to eat it. Is Pi Day mainly a play on words? Is it just a clever way to draw attention to mathematical literacy? For me, it’s mainly excuse to make and eat pie, in any form. (Pizza pi, anyone?) Even if you’re not mathematically inclined, please take tomorrow as an excuse to eat some pie, like I do!